The Dunlop SP LT 60 features a tread pattern optimised especially for winter roads. A bladed centre section gives driver’s confident grip on wet and snowy surfaces. The deep transverse grooves and the inclusion of an open shoulder design, quickly disperses water and reduces aquaplaning. 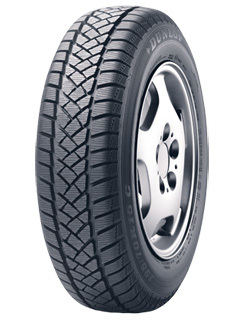 The tread compound used in this tyre and the tyre profile itself, are designed for even wear. This prolongs the tyre life and enhances load-carrying abilities. The tread pattern is designed to reduce noise to a level comparable to passenger car tyres. This enhances driver and passenger comfort.